Most of the Java based adapters used in PI run on AAE, the J2EE based adapter engine. However, in some cases it’s not possible to use the adapters as the platform doesn’t meet the prerequisites and in these cases adapters running on Java SE can be installed. Link to standard documentation for adapters running Java SE. These adapters can be installed on the remote hosts and can communicate with PI. The below diagram represents the installation. The host can be windows , unix etc. 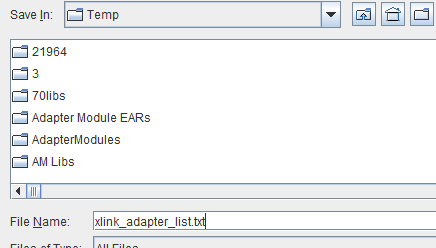 One of the adapters is Extended File adapter also known as xlink adapter. Configuring hundreds of windows hosts can be very difficult to maintain. However, we have an ABAP cockpit by which we’re able to maintain remote configuration. 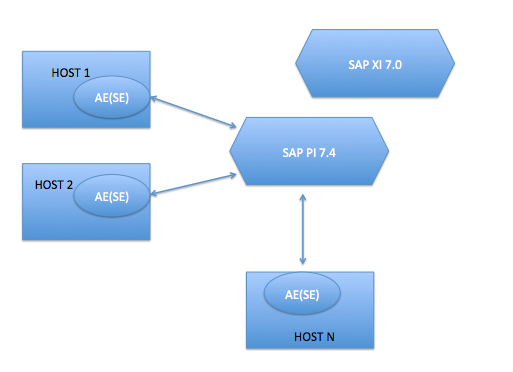 The information is stored in ABAP tables and gets synced to remote host by HTTP calls. Recently we did migration of around 8000 interfaces from an older version of PI to PI 7.4 . 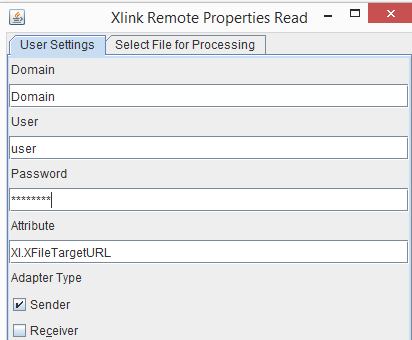 The information is stored as configuration files for xlink adapters as key value pairs. 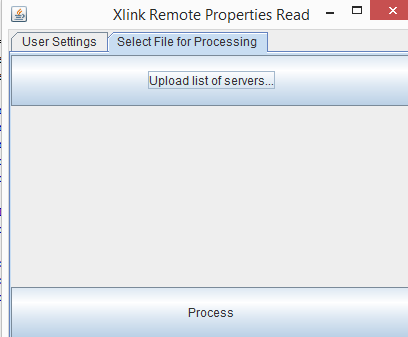 Information is read by HTTP calls .So the xlink service needs to be up and running at the remote host. This is not the case during cutover from old to new system. 2) ABAP cockpit can display only adapter if we’re interested in reading adapter properties as it has to make a HTTP call for each adapter. Table with the list of additional properties available in extended File adapter. One of the main properties is the URL which determines to which PI system the message should be sent to. We need a mechanism to verify the properties file after this property has been modified. So we built a Java swing application that allows us to quickly read the properties. //f$//sap//xlink//XLi//Configuration where i is a running number starting from 0 for the xlink instance. Active adapter are stored in folder //f$//sap//xlink//XL0//Data/ – this allows us to filter out any non-active adapters from our list. The first tab has options to specify login credentials , chose adapter type to restrict searching them all and specify the attribute we want to read. And the output appears in the below format. The tool also allows us to export data as a CSV file. Source code can be accessed at this link .